“Consumer focus and Involve held an event in March 2012 that brought together a range of individuals from national government, local government, the voluntary and community sector, the social innovation field, academia and think tanks to explore some of the challenges and opportunities for localism and co-production in the coming years. There is a really interesting write up of the event here http://wherenextlocalism.posterous.com/ the post includes a series of co-production case studies as well as a summary of the key discussions from the event, this includes some of the critical issues that prevent participation. All well worth a read! 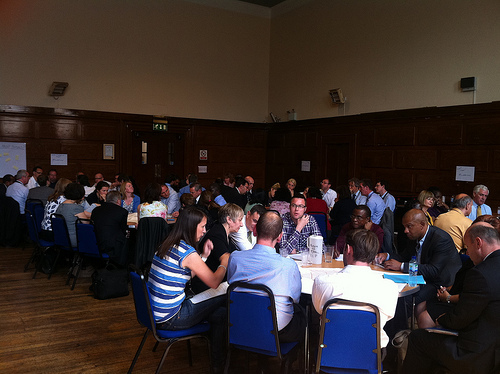 In July 2011 Lambeth Council managers (the Leadership Network) were invited to take part in a workshop to explore some of the challenges and opportunities of becoming a mutual. 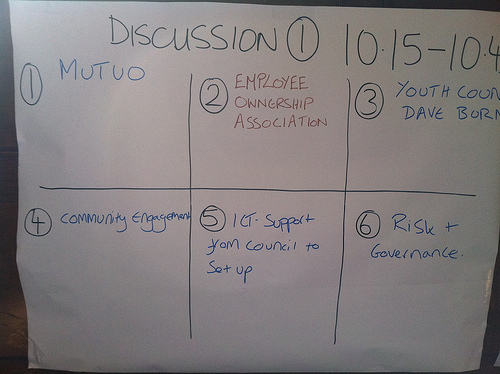 Managers were joined by a number of Council partners and a range of ‘Mutual and Cooperative Experts’ that included: Mutuo, Employee Ownership Association, Mutual Ventures, PAConsulting and Baxi Partnership. 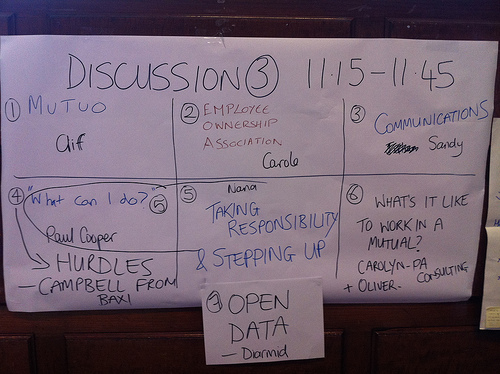 Delegates took part in a series of open space conversations to explore some of the challenges and opportunities of becoming a Cooperative Council. 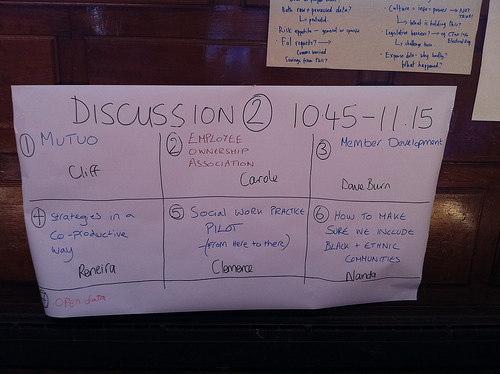 Delegates were asked to come up with the conversation topics and the experts in the room were on hand to help answer questions and disperse their knowledge.